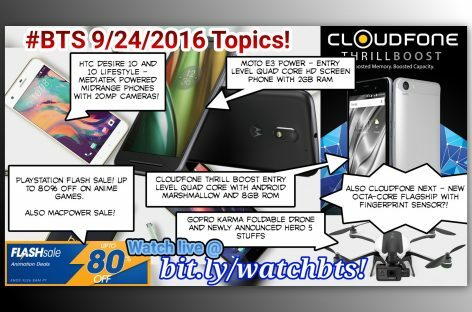 BTS Podcast 9/24/2016 – Cloudfone Thrill Boost & Next, HTC Desire 10, Moto E3 Power, Model 02 Flamethrower! 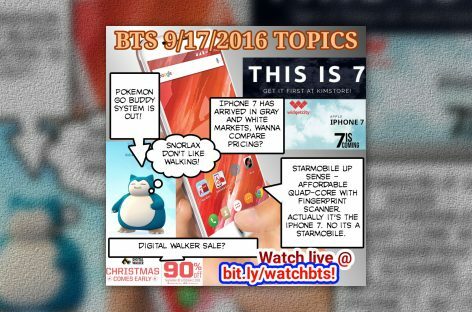 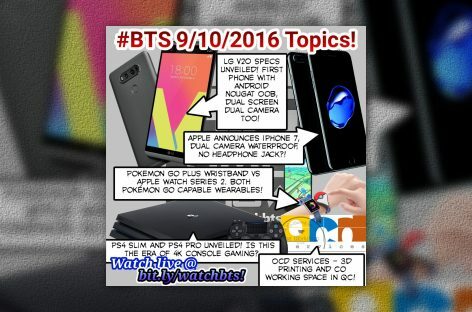 BTS Podcast 9/17/2016 – Starmobile Up Sense, iPhone 7 Pricing & Availaibility, Pokemon Go Buddies, & More!! 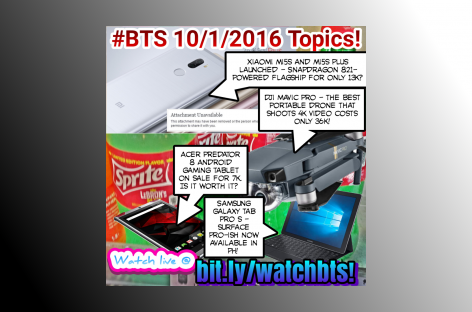 BTS Podcast 9/3/2016 – Asus Zenfone 3 Hands On, Note 7 Recall, Project Ara & Nexus Cancelled, IFA news, etc! 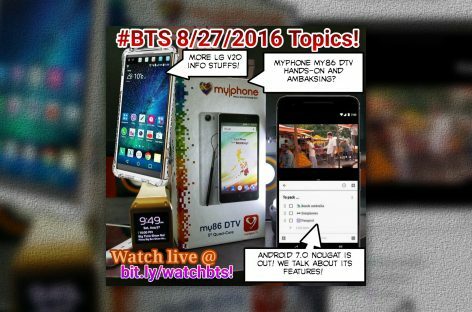 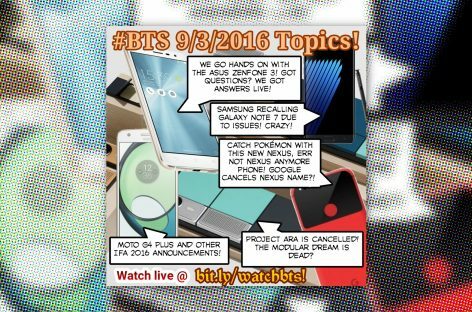 BTS Podcast 8/27/2016 – MyPhone My86 DTV, LG V20 leaks, Android Nougat Is Out, PS4 Slim Rumors, & More! 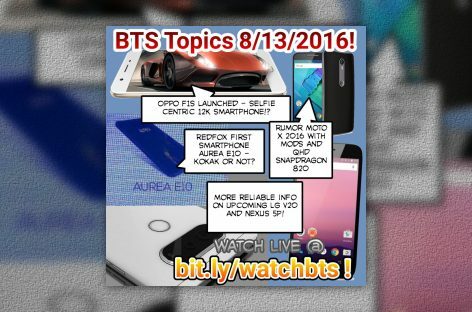 BTS Podcast 8/13/2016 – Oppo F1s, Moto X 2016, Redfox Aurea E10, Nexus 5P, LG V20, & More! 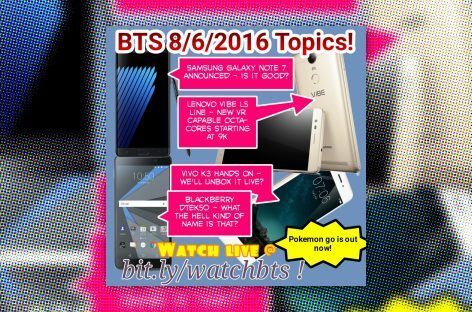 BTS Podcast 8/06/2016 – Samsung Galaxy Note 7, Lenovo Vibe K5 Series, Pokemon Go PH, Vivo V3, & More! 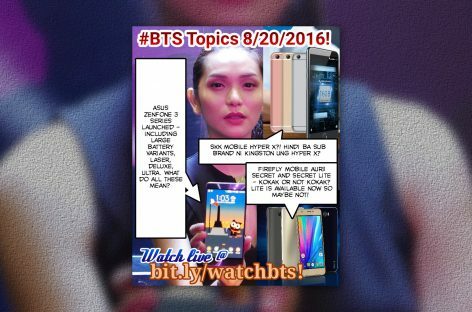 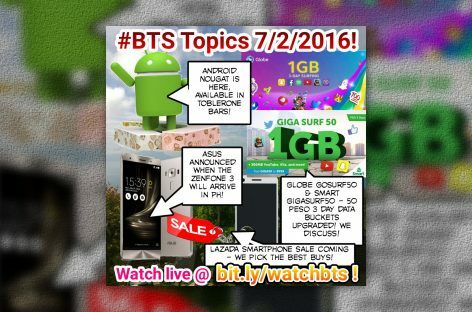 BTS Podcast 7/16/2016 – Zenfone 3 Launch Date!, ROG Store, MotoPH 360 2nd Gen, Lenovo Vibe K5, Evo 2016, & More! 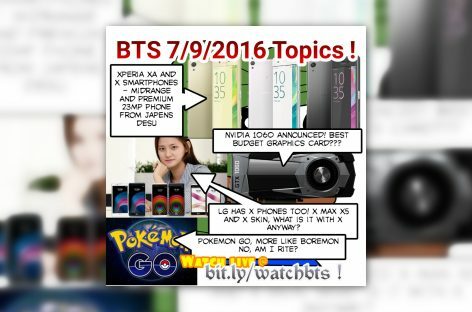 BTS Podcast 7/9/2016 – Pokemon Go, Sony Xperia X & XA, LG X5 & etc, NVIDIA GTX 1060, Cloudfone & Ekotek new stuffs, etc! 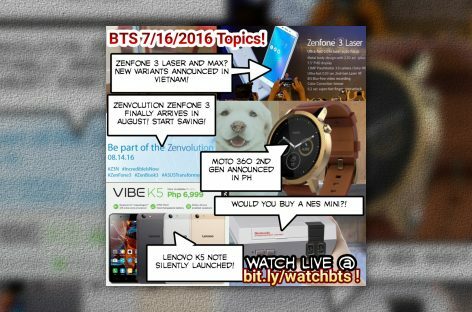 Its a bit late but the podcast for last Saturday’s Big Time Show is here and you can check it out by watching the replay / podcast / mp3 version!